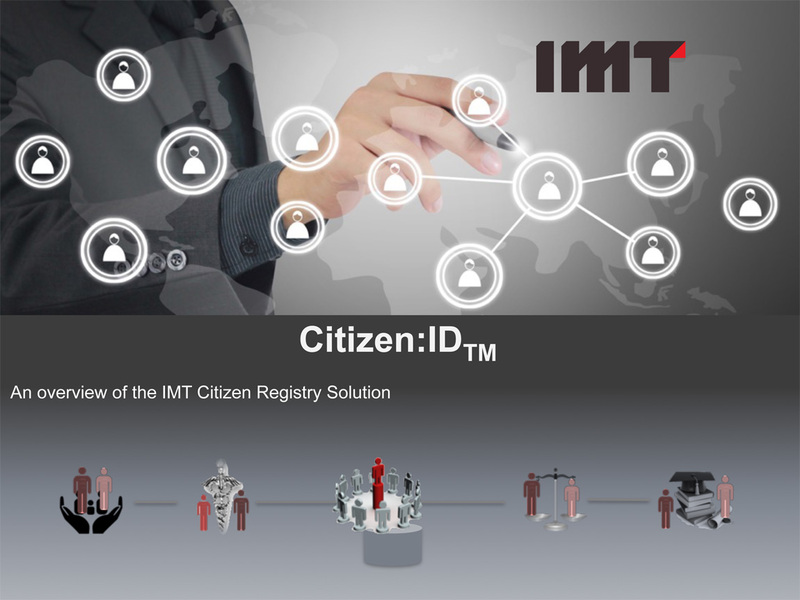 IMT Citizen:ID™ uses the power of master data management to create a secure, real-time, 360° view of your citizens across all of government. Starting a company in Estonia takes 18 minutes. Filing taxes takes 5.
eGovernment saves Estonians 820 years of work every year. Let’s face it… no one likes to stand in long lines, struggle to understand complex processes, or give the same information over and over. With IMT’s proven Citizen Registry solutions, you can decrease the time it takes to enroll citizens in new programs, verify a citizen’s identity at the point of registration, and leverage known data about citizens to create innovative new eGovernment services. Integrated government services are relatively new. For decades, citizen data has been collected at the department or agency level with tight controls that often restrict sharing and exchanging data. IMT Citizen:ID™ uses the power of master data management to create a secure, real-time, 360° view of your citizens across all of government that enables information sharing within government, better analytics for policy and budgeting, new online services, and detection of fraudulent activity. View the introduction presentation to Citizen:ID™ now. Improved data linkages (typically 15-25%) greatly enhance analytics & forecasting models resulting in better insights and improved decision making. A 360° View provides departments a high-quality and trusted source for citizen identity data to enhance their service delivery (e.g. find a vulnerable person, update the voter list, notify another department of wrong benefits). Citizens have a single place to manage their identity and profile – departments harmonize key processes for clients (e.g. one address change sent to all departments, identification of a better program for the citizen). Service providers are aware they share a client by sharing a need to know profile – services are team-focused on the total needs of the client (e.g. managing a troubled child across health, education, justices & human services). The IMT Citizen Registry is built on IBM’s InfoSphere Multi-Domain Master Data Management (MDM) infrastructure, which is the foundation for many of the most sensitive and confidential Registries in the world. The IMT Citizen Registry leverages the most accurate, trusted and proven matching and linking engine on the market, the IBM InfoSphere MDM matching algorithm. Could you benefit from a Citizen Registry? Citizen registries are more successful when your team understands the hows and whys. Whether you are totally new to Citizen:ID or you’ve been working with MDM for years, our client training courses will give you the skills you need.